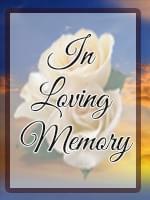 William Howard Krueskamp, 71, of Queen Creek, AZ, passed away on March 20, 2009 in Mesa, AZ. He was born December 11, 1937 in Lexington, KY. His life work included U.S.A.F., communications, untied blood service, main frame computer operator and Best Buy representative. Those who remain to miss him are his Wife: Carol Jeanne; Sons: David, Mike, Billy & Steven; Grandson: Logan Michael; Granddaughters: Jean Marie, Ruth Ann, Britta, Teyla & Jakki; Sister: Janis Bacon; Nieces & Nephews. Visitation will be held Thursday, March 26th from 9:00 ? 10:00 AM at 22035 E. Ocotillo Rd in Queen Creek. Interment will be held at Mountain View Memorial Gardens 7900 E. Apache Trail in Mesa. Steve, my thoughts will be with you tomorrow as you and your family pay tribute to your Dad. I hope that you have some peace in knowing that in you he lives on.